THE LEVANT – Powerful Al-Qaeda branches in Yemen and North Africa called Tuesday for jihadists in Iraq and Syria to unite against the common threat from a US-led coalition. Powerful Al-Qaeda branches in Yemen and North Africa issued an unprecedented joint statement Tuesday calling for jihadists in Iraq and Syria to unite against the common threat from a US-led coalition. AQAP and AQIM also called on the people of 10 Arab countries that have joined the coalition against the Islamic State group to prevent their governments from acting against IS. And it promised “dark days” to the “alliance of infidelity and evil”. Al-Qaeda’s leadership under Ayman al-Zawahiri, the Egypt-born successor to group founder Osama bin Laden, has disavowed IS, which has seized swathes of Iraq and Syria. And it has its own branch, the Al-Nusra Front, fighting in Syria. But the joint statement, released on two jihadist Twitter accounts, called for differences to be set aside in the face of the growing coalition. “Make the unity of the infidel nations against you a reason for your unity against them,” it said, accusing Washington of “leading a Crusader campaign against Islam and all Muslims”. “Stop the infighting between you and stand as one against America’s campaign,” it added. Last week, US Secretary of State John Kerry was given commitments from Bahrain, Egypt, Jordan, Iraq, Kuwait, Lebanon, Oman, Qatar, Saudi Arabia and the United Arab Emirates to join the fight against IS. “We call upon our people in… all the nations of this Satanic alliance… to stand before the face of their agent governments and prevent them — by all legitimate means — from going to war against Islam under the excuse of fighting terrorism,” the statement said. 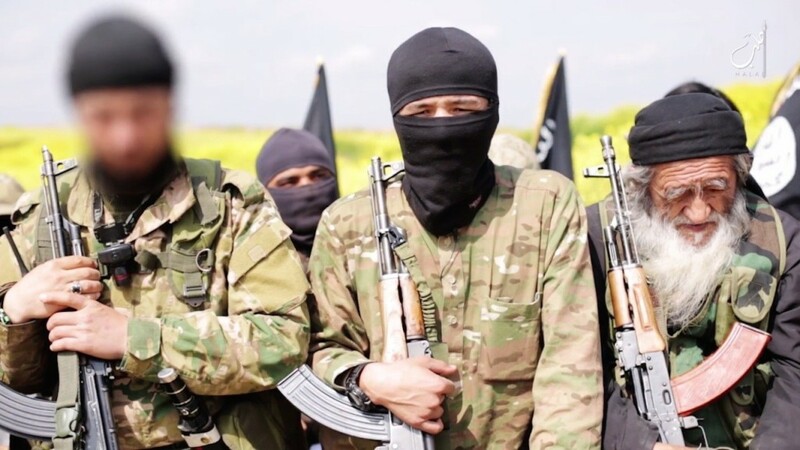 It also urged Syrian rebels to keep up their fight against President Bashar al-Assad, warning them to “beware of being tricked by America… and thus being diverted from your path” and becoming its “pawns”. Both Yemen-based AQAP, seen by Washington as the network’s most dangerous branch, and AQIM have rejected IS’s declaration of an Islamic caliphate in June and said they remained loyal to Zawahiri. London-based Jane’s defence and intelligence agency downplayed the significance of the call, saying it “stops short of offering explicit support” for IS. This is “yet another example of Al-Qaeda affiliates attempting to hold the middle ground” in the dispute between IS and Zawahiri, it said. Meanwhile, Jane’s said similar statements of solidarity by other Islamist militant groups “will likely continue to surface in response to the new US air strikes… but they do not necessarily mean that support for the Islamic State itself is growing”. AQAP has been linked to a string of attempted attacks on the United States in the past, including a botched bid to blow up a Detroit-bound airliner on Christmas Day 2009. It has been a major target of the US “war on terror”, sustaining repeated deadly drone strikes on its leadership since 2002, matched only by those on Afghanistan and Pakistan. The group was born of a 2009 merger of its franchises in Osama bin Laden’s native Saudi Arabia and ancestral homeland Yemen. AQIM, which has desert bases in northern Mali, has carried out attacks and abductions of Westerners in the sub-Saharan region of Sahel, as well as claiming attacks in Tunisia.